ALL THE NEWS, ACTION AND REACTION LIVE FROM SOCHI 2014 AS IT HAPPENS! 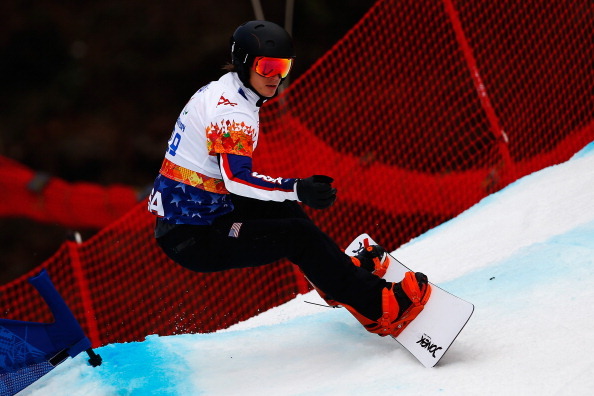 21:58 Tomorrow, we have three men's giant slalom sets of medals to be won, as well as two in cross-country. The ice sledge hockey and curling competitions will also reach their climax. Canada play Norway for hockey bronze, while the United States face Russia in what promises to be a spicy clash for gold. The wheelchair curling semi-finals will see Great Britain play Russia and Canada versus China, with the bronze medal and gold medal games later tomorrow. 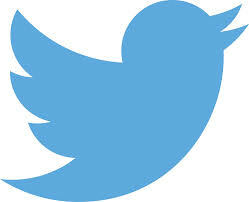 We'll be back live blogging the day eight action from 05:00 (09:00 GMT). 21:54 And so with that ends day seven of the Winter Paralympics, a day which saw 14 gold medals won across alpine skiing and biathlon. 21:51 Czech Republic beat Italy 3-0 to secure fifth place at the ice sledge hockey competition. It took 31 minutes of play for the first goal to come, but then the floodgates opened for the rampant Czechs. 21:49 A third goal from the Czech Republic puts the game beyond doubt. Michal Geier are set to win 3-0. 21:42 That could be the winner - Gabriele Araudo scores a second goal for the Czech Republic to give them a 2-0 lead. 21:30 We have a breakthrough, Zdenek Safranek gives his Czech side a 1-0 lead over Italy with 13 minutes of the third period left. 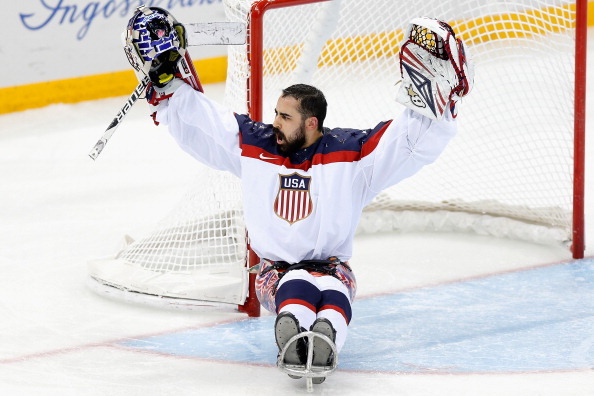 21:26 Ice sledge hockey goalkeeper Steve Cash will hold the stars and stripes aloft for the Untied States at Sunday's Paralympic Closing Ceremony. Cash, a three-times Paralympian who could win gold tomorrow in the final against Russia tomorrow, said: "Obviously first and foremost, it is a tremendous honour, but at the same time it's not as much about having an individual opportunity to bear the flag, but also being able to represent my country and all of the athletes who came out and are here representing their country as well. "I am able to represent 80 athletes, especially my team-mates who have been there for me through thick and thin ever since I started in the sport. "It's really more about a collective group than just representing myself." 21:21 The third period is underway in the classification match for fifth and sixth places in the ice sledge hockey competition. 21:05 And with that ends the second period, still 0-0. 21:04 Another late chance goes begging for Italy, as Czech goalkeeper Michal Vapenka makes a fine save. 20:57 Lots and lots of chances, but no goal. Surely the deadlock will be broken at some point in the second period. 20:26 End of the first period, and we're yet to have a breakthrough at the Shayba Arena. The two teams have been pretty evenly matched so far. The Italians have had four shots on goal, the Czechs three. 20:17 Best chance of the game so far comes courtesy of the Czechs, who rattle the frame of the goal. Still 0-0. 19:56 So, after a long lull in proceedings, our final slice of sporting action is about to begin, as Italy take on the Czech Republic to decide who finishes fifth in the ice sledge hockey competition. 19:23 We can safely say Russia will top the medals table at these Paralympics - scroll down to 17:23 to see the table in full, or click here. With 25 gold, they are four short of Norway's 29 at the Lillehammer 1994 Paralympics. If they beat that, they will have the best gold total achieved at a Winter Games in the last 30 years. And it's worth noting there are far fewer medal opportunities in Sochi than there were in Lillehammer 1994, or Innsbruck 1984. Russia now have the same number of gold as Germany, Ukraine, France, Canada, Japan, Austria and Slovakia combined. 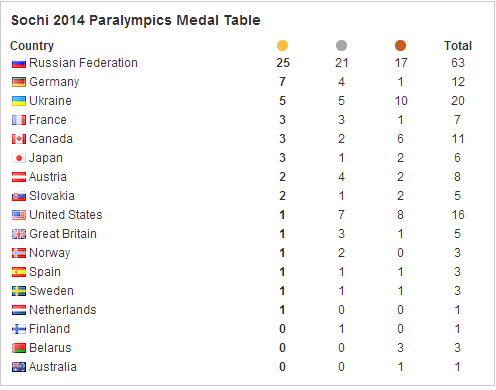 They are the countries sitting second to eighth in the medals table. 18:56 The five cities competing to become host of the 2022 Winter Olympic and Paralympic Games have met today's deadline for submitting their Application Files. Krakow, Lviv, Oslo, Almaty and Beijing are all in the race. 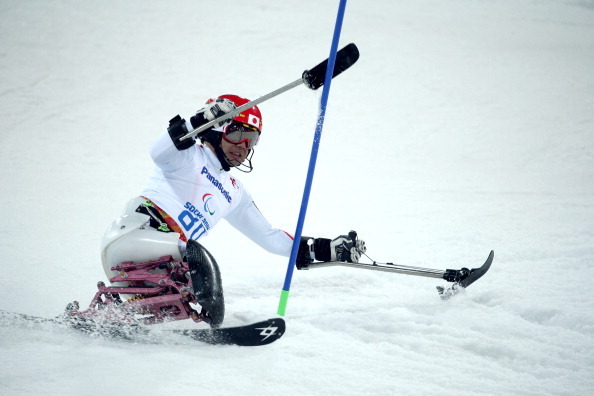 18:07 We also have a Winter Paralympic-related blog today - by Turin and Vancouver Paralympian and former sit-skier Sean Rose on how "Britain's Winter Paralympic success is a game changer." 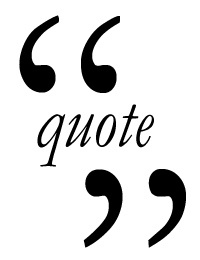 It is definitely worth a read here. 18:01 A couple of other stories on insidethegames today during the lull in action. Berlin mayor Klaus Wowereit has spoken favourably about Berlin bidding for the 2024 Summer Olympics and Paralympics, while Kevin Warner has been appointed the new executive director at USA Synchro. 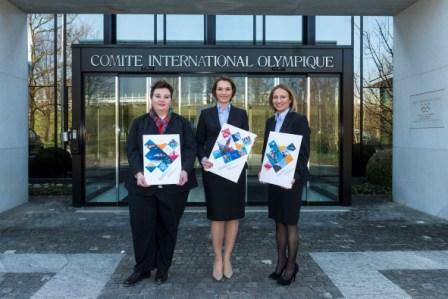 The International Olympic Committee have also confirmed that the Applicant Files have been recevied by all five cities bidding to host the 2022 Olympic and Paralympic Games - Almaty, Beijing, Krakow, Lviv and Oslo. Read our article pre-empting this announcement yesterday here. It was a big day - phenomenal. I am nearly speechless. Up in the start, I was so charged. I went for my daughter and for all my friends and family. This was the one thing missing on my shelf. I've had a succesful career." 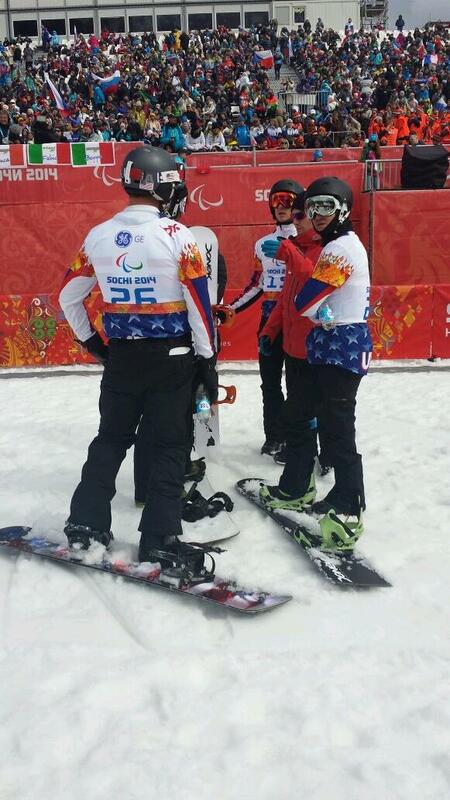 - Josh Dueck of Canada reflects on his sitting super-combined gold medal. 17:23 We have a sparse few hours now in Sochi - with just one more piece of sporting action coming up today. At 8pm it is the all-European ice sledge hockey fifth place play off between the Czech Republic and Italy. 17:15 The Ceremony will be entitled "Reaching the Impossible" and will celebrate the magnificent achievements of the Paralympic athletes, who have shown the world the impossible is possible through strength of spirit and a relentless pursuit of sporting victory, it is claimed. London 2012 rowing medallist Aleksey Chuvashev will be a central hero of the Ceremony and - to demonstrate the wonders of strength and courage - and during a section of the Ceremony he will climb a rope with only his hands to a height of 15 metres. To the backdrop of the music by Russian composer Alfred Schnittke, the Ceremony will be opened by memorable choreographed pieces performed by members of the Russian Wheelchair Dance Sport Federation together with trapeze artists who form abstract shapes in the air. The performance will also be filled with "impressive music, breathtaking choreography, original view and vivid visual displays." "Momoko went the right way on women's course, the others went on the men's course. Momoko went on the right course for four loops, but she was forced to take the men's course in the last loop." 16:51 One other piece of news to bring you now - which might not come as too much of a surprise if you were following the blog earlier on (scroll down to 12:58-13:19 for more). The IPC Nordic Skiing jury is considering a protest by Japan regarding the unofficial results of the women's biathlon 12.5km standing event this morning. It turns out that Momoko Dekijima of Japan did not go the wrong way - she was actually the only biathlete to go the right way. All the other athletes skied the men's 3km loop instead of the women's one due to confusion over course markings. Yet Dekijima ranked seventh in the unofficial results behind winner Oleksandra Kononova of Ukraine. 16:45 So...a frantic period and we have seen 14 sets of medals won over the last few hours in Sochi. Russia has had another brilliant day with half of the gold medals on offer and they have duly stretched their lead on the medals table. Germany and Ukraine remain in second and third after winning one and two golds respectively today. But the snowboarding brought new nation's on the table - with the Netherlands and the United States taking the spoils - while Canada and France were the other day seven gold medal winners. 16:22 So, after only two medallists in the sitting super-combined earlier on we have had four podium finishes in the final biathlon event of the Games. 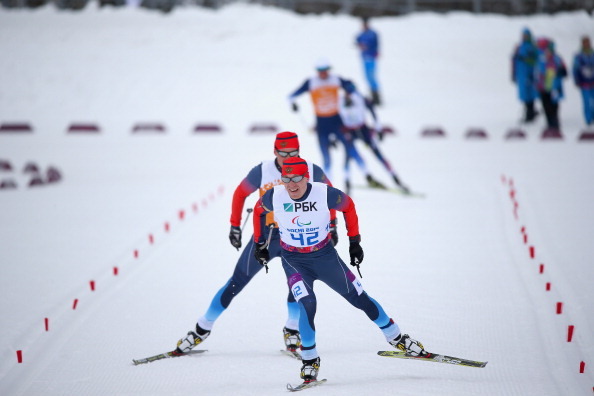 16:18 Nikolay Polukhin and guide Andrey Tokarev win the final biathlon gold medal of Sochi 2014 in the 15km visually impaired event. Drama behind as Anatolii Kovalevskyi takes silver for Ukraine and then there is a tie for bronze. Vitaliy Lukyanenko recovered from that missed shot to claim his place on the podium but the Ukrainian who has already taken double gold in Sochi has to share it with Stanislav Chokhlaev of Russia. Three Ukrainians and another Russian are in major battle for the minor medals. 16:10 That is a first gold of the Games for Budaleeva after two silvers. She won by a mammoth 1min 55sec in the end, so even if Lysova had not missed that shot she would not have won. 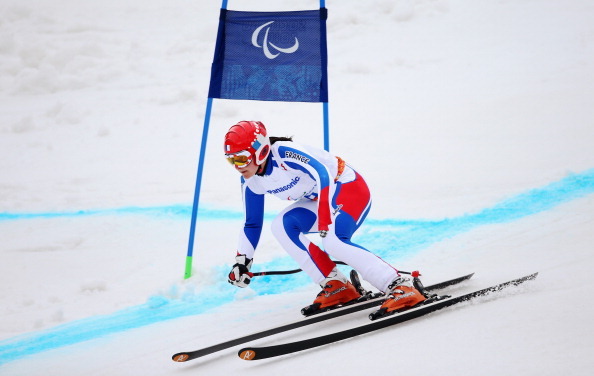 16:08 And yet another gold for Russia in the women's visually impaired skiing as Iuliia Budaleeva and guide Tatiana Maltseva hold on to win the gold medal. Fellow Russian Mikhalina Lysova takes silver while bronze goes to Oksana Shyshkova of Ukraine. 16:06 Gold goes to Josh Dueck of Canada thanks to a magnificent slalom - as Rabl of Austria is only good enough for bronze. In between them is Heath Calhoun of the US. 16:00 Germany have already won gold and silver in the sitting events today but Thomas Nolte will not add to that. He half a second lead over Dueck ebbs away quickly. 15:52 In the super-combined, Corey Peters of New Zealand leads but then Josh Duck of Canada, takes over at the top. 15:49 Nikolay Polukhin leads by over a minute in the men's event, meanwhile, after 7.5km and Russia are looking good for the win in both biathlon events Polukhin's bid rival Lukyanenko of Ukraine has missed a target and is down in fifth. Two Russians in Mikhalina Lysova and Iuliia Budaleeva are battling it out for the gold and silver medals still in the women's race. 15:42 In the women's biathlon, Mikhalina Lysova and guide Alexey Ivanov lead after 5.5km by 12 seconds from another Russian pair. Flawless first shooting from the whole field but still a long way to go in the 12.5km event. 15:37 A bit of confusion as second to go Mick Brennan of Great Britain is told to restart his run when already halfway down the course. Not exactly ideal... Thomas Jacobsen of Norway was first down, but the leader following the slalom section is Roman Rabl of Austria. 15:29 Alexey Bugaev wins his fourth medal and second gold of Sochi 2014. The Russian wins by 1.1 seconds from Lanzinger...while bronze does go to Kane of Australia. That bronze is the first medal of the Games for Australia. 15:25 Austria's Mattias Lanzinger moves into the lead with a superb run. Braydon Luscombe is next, but the Canadian slips out midway through and fails to finish. 15:21 Adam Hall of New Zealand splits the two Australians for an Oceania 1-2-3. Hall lies second while Kane remains the leader. 15:14 Austria's Martin Wuerz moves into second place but cannot overhaul the Frenchman. Then Romain Riboud looks to make it a French 1-2 after a good start but then he misjudges a corner and crashes! 15:10 Visually impaired biathlon events still to come as well, but back to the Alpine and Cedric Amafroi-Broisat is the leader at the moment. A strong Super G should help him move up from ninth place in the slalom. 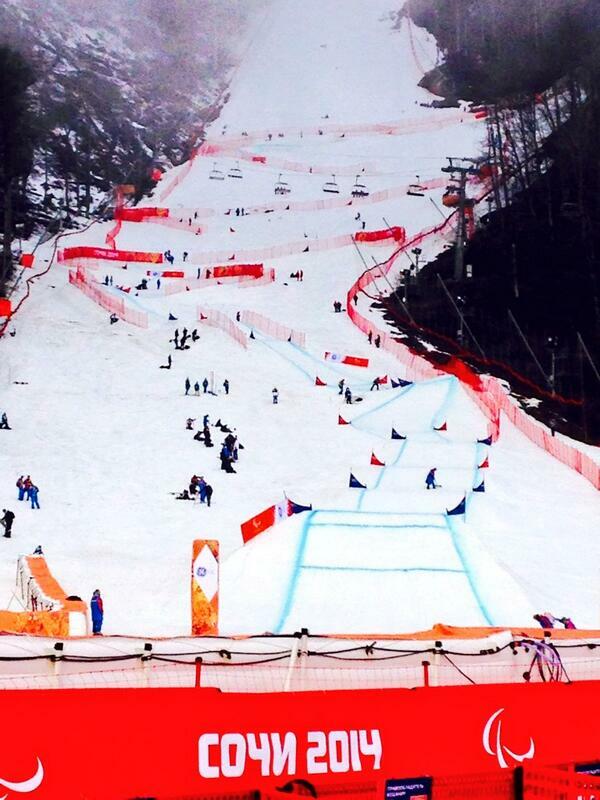 15:06 The men's standing event is next as the super-combined action continues at super-frantic pace. But before that, an ice sledge hockey result to bring you as South Korea finish in seventh place after a 2-0 win over Sweden. The fifth place play off is also coming up a little bit later on today. 15:01 And we can confirm now that Grygorii Vovchynskyi of Ukraine has won the 20km biathlon, A really good effort by Nils-Erik Ulset of Norway to win silver just 3.1 seconds behind. Kirill Mikhaylov takes bronze for Russia as the host nation finish in every position between third and eight. Karachurin would have taken gold if he had not missed that one shot, but such are the margins of this sport, and he has to settle for fourth place. 14:58 Valerii Redkozubov is a slalom specialist and does not seem overly comfortable on the Super G but he does enough! Along with guide Evgeny Geroev he takes his second gold in a matter of hours after his slalom success under floodlights last night. Silver for Marc Bathum of the US and Gorce Yepes of Spain takes bronze. 14:55 Gabriel Juan Gorce Yepes goes into second place after losing all the time on Bathum at the top of the course. So the American is guaranteed silver with only Valerii Redkozubov left. 14:51 A little way away on the mountains the men's visually impaired event has begun. Marc Bathum of the US, fifth after the slalom, has taken the lead after an impressive Super G. In second place is Slovakian Radomir Dudas and in third is Michal Beladic. 14:48 Vovchynskyi now crosses the line in a time of 37min 41.1sec. Surely that will be the gold medal winning run? 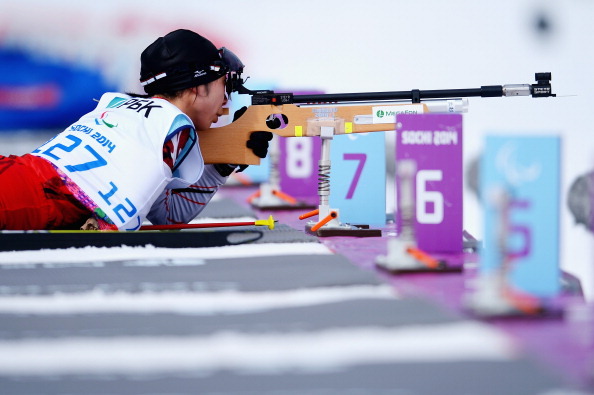 14:46 At the halfway stage another Russian-Ukraine rivalry was developing as Azat Karachurin of Russia led from Grygorii Vovchynskyi of Ukraine by just two seconds, but then Karachurin missed a crucial shot at his penultimate trip to the range and the Ukrainian is closing in on gold. 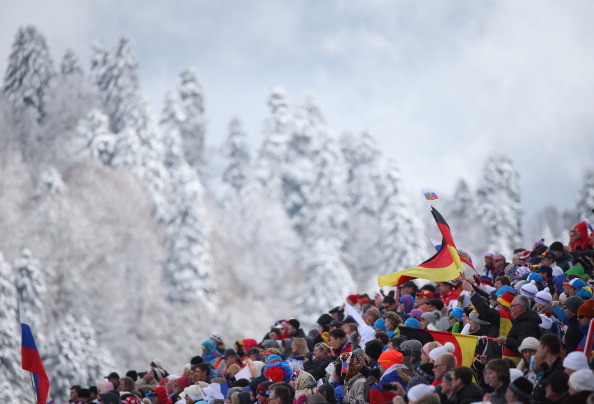 14:45 There are three more Alpine medals to be won in men's events, but the 15km standing biathlon is also going on. 14:42 Forster takes silver but, with only two skiers finishing, there is no bronze medal winner. 14:39 Anna Schaffelhuber of Germany takes her fourth gold medal of Sochi 2014 in a German 1-2. Again, a reasonably conservative run but she had five seconds to play with and has the knack of looking very controlled even when moving fast. 14:36 Forster is going down slowly as if she is trying to finish more than anything else. Slowly but still at 60mph... But she gets down and is guaranteed at least silver. 14:33 Anna-Lena Forster and Anna Schaffelhuber are the two left so we will have no bronze medal winner, and maybe no silver or gold either if one of these two fails the finish. Forster was the initial winner of the slalom only for Schaffelhuber to be reinstated ahead of her, but the two are great friends so no hard feelings. 14:29 Another huge crash as Claudia Losch flies through the netting at the side of the course. We think she is OK as she is moving and she skies off gingerly down the mountain. But with Laurie Stephens of the US not starting, there are only two skiers left in. 14:25 The third women's super combined event is the sitting competition and we have already seen one big crash as Britain's Anna Turney goes down hard. That's not her first crash during these Games either. 14:20 Marie Bochet clocks a flawless 53.48 and takes her third gold medal of the Games. A brilliant performance by Bochet and that result never looked in doubt for one moment. She has now taken all three French gold medals at Sochi 2014. It is silver for Rothfuss and bronze for Jallen of the US. 14:11 Next up we are straight on into the next Alpine event and it is the sitting women's event. 14:06 Aleksandra Frantceva and guide Pavel Zabotin of Russia win the gold medal by just 0.63 seconds. Their lead was cut massively from over three seconds in the slalom but the Russians just hold on for gold. 14:03 Great performance by Jade Etherington and guide Caroline Powell of Britain. They are guaranteed their fourth medal of the Games and are 11 seconds clear of Umstead. Is it enough for gold? 14:00 Back to the sport and first of six Alpine events is underway. 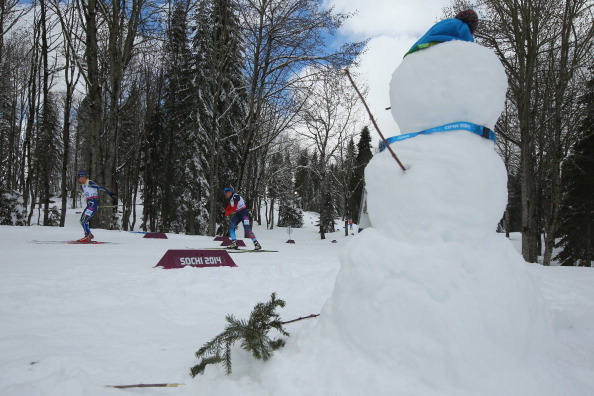 The Super G run of super combined events were postponed from earlier in the week. 13:53 Politics has been on the backburner at Sochi 2014 but - that Closing Ceremony will clash with the "referendum" on whether Crimea will join Russian on Sunday, so a possibility that there will be dissent to follow Ukraine's Opening Ceremony protest there. 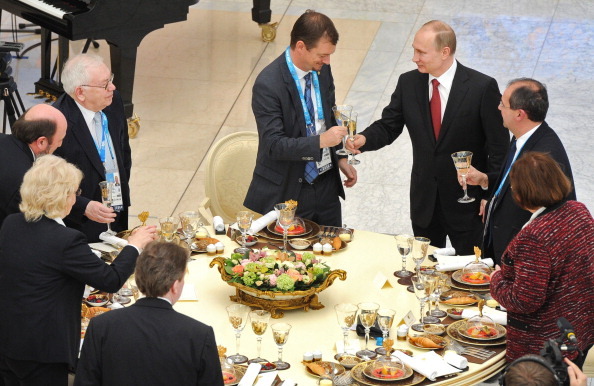 Russian President Vladimir Putin thanked the IPC yesterday for promoting sport over politics so far at Sochi 2014... Read our article here. 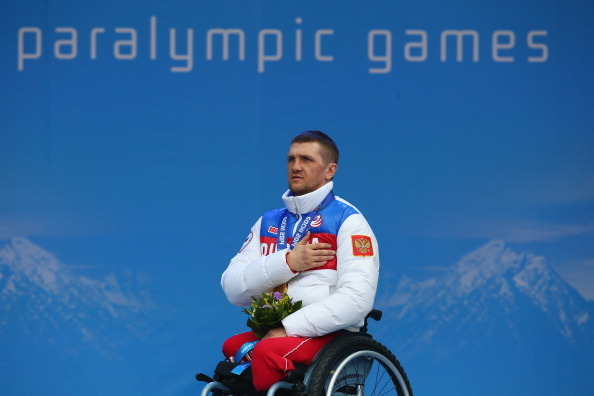 Sunday's #Sochi2014 #Paralympics Closing Ceremony theme is "Reaching the impossible." An element from the opening will also be used. Ace! 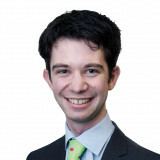 - IPC communications director Craig Spence provides a glimpse of Sunday's Closing Ceremony. 13:49 An ice sledge hockey match is also going on at the moment. South Korea lead Sweden 1-0 after a goal from Jang Dong-shin in the seventh place play-off. It is amazing how at this point yesterday we had enjoyed a veritable feast of sledge hockey and curling whereas today we have had a completely different day of biathlon and snowboarding so far. 13:45 Coming up on day seven we have more biathlon action with the men's 15km standing event, as well as six Alpine super-combined finales starting in a few moments time. 13:40 So another gold medal for Ukraine as they strive to close the gap on Germany in second place in the medals table. 13:24 Huge cheers from the impressively vocal crowd at the Laura Biathlon Centre as the final finisher Caroline Bisson of Canada completes the course. Further ahead though, Russia and Ukraine continuing their Nordic dominance as the two countries swept the first six places. A 1-5-6 for Ukraine and a 2-3-4 for Russia. 13:19 Gold for Oleksandra Kononova of Ukraine as a fast finish propels her to a successful defence of her 12.5km standing biathlon title. Silver goes to Kaufman and 16-year-old Natalia Bratiuk takes another bronze medal. At least we think that is how it will turn out. Momoko Dekijima of Japan finishes 7th but the Japanese officials are still remonstrating about what happened to her out on the course... We will try and keep you updated on what happens there. 13:17 Here comes Kaufman - putting every last bit of energy in as she sprints for the line in pursuit of her third of the Games...but she doesn't do it. Second place for the Russian 2.1 seconds behind Kononova. 13:12 Confusion reigns again as Dekijima of Japan suddenly drops from 1st to 5th in the results. What we presume has happened it she was sent the wrong way and has now done an extra loop to compensate, but no-one really knows, and the official classification still lists her as 1st. 13:08 Kaufman misses a shot on the final shoot but Bratiuk and Milenina go clear. Remember, each biathlete left at 30 second intervals, so it is more a time trial than a mass start event. 13:05 The expected Russian trio of Anna Milenina, Alena Kaufman and Natalia Bratiuk lies 2nd, 3rd and 4th but are over 2min 40sec behind the Japanese competitor. 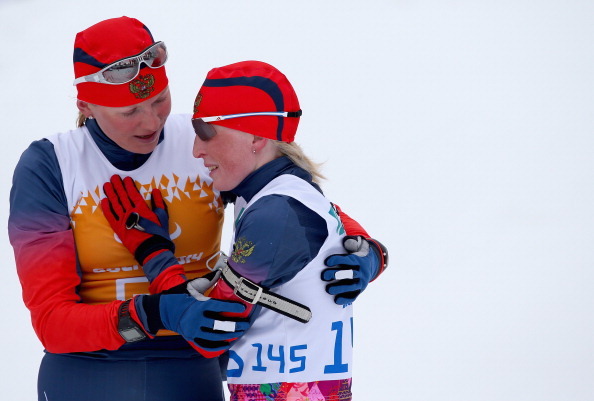 12:58 Speaking of biathlon, the women's 12.5km standing event is well underway and there has already been some drama. Momoko Dekijima of Japan has been miles ahead of the field virtually from the outset - and it quickly became obvious that she has missed out a section of the course somewhere. But after being initially disqualified while being still out on the course, there were some tense discussions between officials and the Japanese team and she appears to have been reinstated. 12:55 So, four gold champions have been crowned so far on day seven - two more Russian gold medals in biathlon, and it is fitting that the two new snowboarding events were won by two new countries in terms of gold medals at Sochi 2014 - the Netherlands and the US. 12:50 So the US shoot up into ninth place on the medals table with that success. A superb performance - second after run one but utterly dominant after that. 12:44 The gold medal is taken by Evan Strong in a US 1-2-3. The former skateboarder is guaranteed gold but claims it in style with a final run of 51.99 seconds. 12:39 Gabel clocks 53.49 seconds. That is his quickest of the three but will not trouble the top two so the American will take bronze. 12:36 So the top four will remain the same because no one has gone quicker overall after an extra run. Three of them are Americans and the clean sweep can only be prevented by Carl Murphy of New Zealand. But Murphy falls and misses a gate. He will finish fourth and the US are guaranteed a clean sweep of the podium and a first gold medal of Sochi 2014! 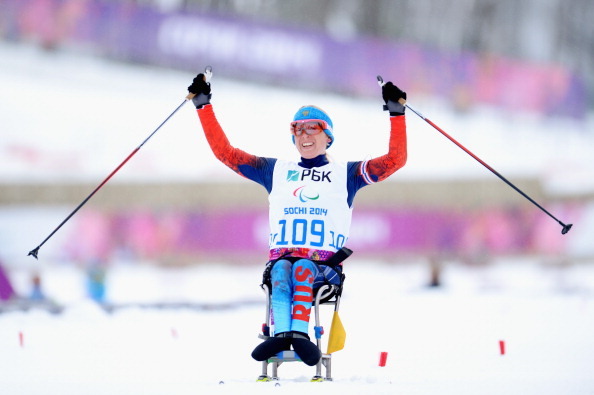 12:33 The youngest Paralympian in Sochi finishes 10th but the next few fail to dislodge Vaverka who will finish fifth. The best two runs of three count to the overall score remember. 12;31 A big crash by Chris Vos of the Netherlands - he won't repeat the Dutch success in the women's eveent - but then a superb final run by Tomas Vaverka of the Czech Republic. 53.03 seconds and he is up to fifth overall. 12:26 The top 16 snowboarders are going first in reverse order. First to go is Urgo Egea Zabalza of Spain before Canadian Tyler Mosher goes well and moved up to 11th place overall. 12:20 So a first Dutch medal of any colour of the Games - and it is a golden one. France are sixth on the medals table after that silver, while the US take their ninth medal of the Games but are still yet to claim a golden one. Silver for the "Pride of Perpignan" Cecile Hernandez-Cervellon of France and bronze goes to Amy Purdy of the US. 12:15 Cecile Hernandez Cervellon takes silver. A strong final run but still some nine seconds off the pace of Bibian Mentel-Spee - who will take a victory procession now. 12:13 Albert's compatriot Amy Purdy is guaranteed bronze. 1min 07.41sec she clocks to stay third but without troubling the top two. 12:11 Christina Albert of the US, who already holds the distinction of being the first ever Paralympic snowboarder having been first to start this morning, lies fourth and needs a huge run to sneak onto the podium. She doesn't manage it and stays in fourth place. 12:09 The main difference, of course, between Olympic and Paralympic snowboard cross is the fact that here they go individually instead of in a mass start, race format. There are talks in IPC snowboarding circles to change the format in the future...but while we don't have mass pile-ups here, there are still plenty of falls as Lisa Bunschoten does exactly that and fails to finish her third run. 12:07 Nicole Roundy of the US briefly moved up to fifth place with an improved third run, but then Astrid Fina Paredes of Spain leapfrogs her. 2min 48.82 her overall leading time at the moment. 12:01 First up is Veronica Yoko Plebani of Italy, who improves on her second run, as does the next snowboarder Megan Harmon. But neither are likely to move up far. 11:59 The top ten to go first in reverse order - although there are only 11 to go - although because only the best two runs count expect the leaderboard to change a good deal. For skiers who have had one good and one poor run so far, another good run will see them significantly improve their overall score. 11:55 Up next it is the final run of the women's event. 11:52 So the second run of the men's event has now come to a close with the Americans still leading overall - the last twenty minutes or so having only seen lower ranked competitors taking to the course. 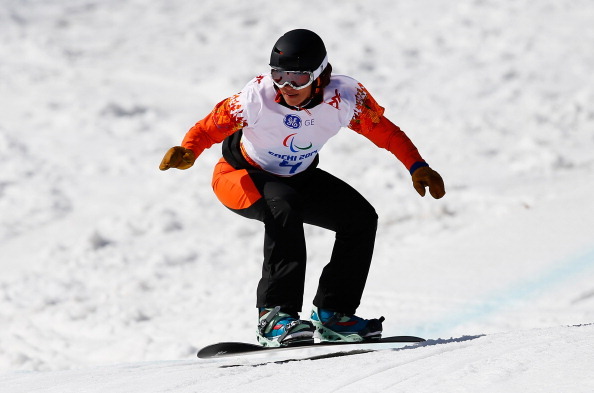 - Fair to see the US Paralympic team are pretty happy with the results so far in the men's event on the inaugural day of Paralympic snowboarding. 11:45 Incidentally, the three medals in that 12.5km biathlon went to the three countries who are leading the overall medals table - in the same order. Russia, then Germany, then Ukraine. 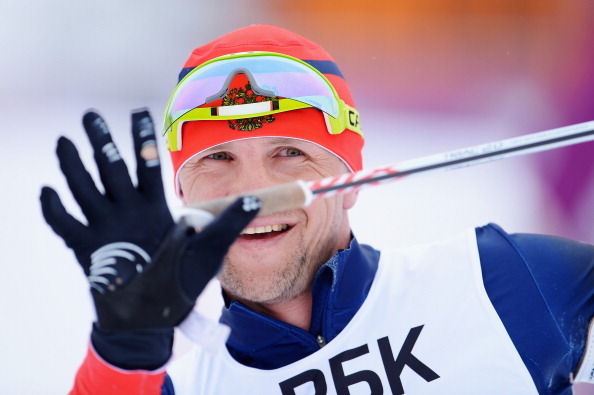 11:43 Next up in biathlon will be the two standing events starting in around 45 minutes time. 11:39 Another reflection on that second biathlon event earlier on which we did not describe in too much detail. Andrea Eskau of Germany, gold medal winner over 6km on day one of the Games, was the early leader but missed two shots on the first shoot and consequently finished down in seventh place. Konovalova meanwhile, did not miss a shot, and that is the difference between the two. 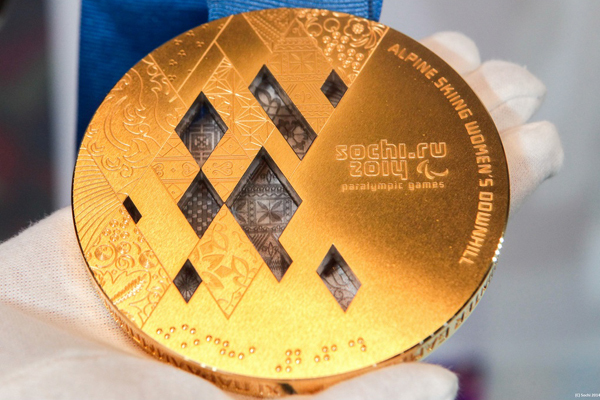 11:33 One thing we can say with at least a reasonable degree of confidence is that later on today we will have our first US gold medal of the Paralympics. Be it Shea, Strong or even Gabel. Even if all three crash their final run it will still take something virtually impossible to beat them. 11:29 We just have the slower snowboarders from the first run to come now - so don't expect the top of the leaderboard to change. But what a final run we have in prospect. Remember it is the combined time of the best two runs to count - so it is possible that Strong could crash out and still win the gold medal if Shea does not go as quick as his first two runs. But with the margin between the two American so minute - anything can happen. 11:26 Wow! 51.62 is the second run by Evan Strong to take the lead and clock the first sub 52 second run of the day by anyone so far. Then Shea also breaks the 52 second barrier with 51.89. Which means that Strong leads overall by one hundredth of a second! 11:23 Final stages of the snowboarding second run for the men now and no change at the top of the standings. Keith Gabel of the US produces a quicker second run of 53.61 to lead by 1.5 seconds from New Zealander Carl Murphy. Just the other two Americans Strong and Shea to come now. 11:18 Second gold medal of the day has been won in biathlon and, yes, it is a second one for Russia. Svetlana Konovalova wins the women's 12.5km event. That is her first gold of the Games after two silvers and a bronze. A thrilling finish in the battle for minor medals as Anja Wicker of Germany produces a rapid final kilometre to overhaul Olena Iurkovska of the Ukraine. So Wicker takes silver and Iurkovska bronze. 11:06 Petushkov has won the 7.5km, 12.5km and now the 15km biathlon events as well as the 15km and the 1km sprint cross-country disciplines. Not only peerless over sprinting and much longer distances, but the best in the shooting range as well. Absolutely flawless marksmanship today - with 20 out of 20 targets hit. 11:04 No such trait of new countries on the podium in biathlon when Roman Petushkov leads home another Russian 1-2-3 and wins his fifth gold of the Games! Grigory Murykin finishes second but over two minutes behind. And Aleksandr Davidovich overhauls Andrew Soule to place third by six seconds. 11:02 Another good thing about the snowboarding is that it is giving two countries - the Netherlands and the United States the opportunity to win their first gold medals of the Games. 10:59 France's Cecile Hernandez Cervellon goes quicker than Purdy but then Bibian Mentel-Spee produced a staggering 58.89 second run. She lies nine seconds clear and, with the best two runs to count, she could probably hang up her board now and win the gold medal. 10:56 A superb performance by Amy Purdy of the US. The only snowboarder to go faster in her second run and she, briefly, has a lead of over 26 seconds overall fro compatriot Cristina Albert! 10:52 Conditions seem a little tougher in the second run of the snowboarding as the first few women go slower. Astrid Fina Paredes of Spain then takes the lead. 10:47 Second run of the women's snowboard cross event now but first an update on the biathlon. And as we enter the closing stages of most of the runs, it is thoroughly turning into the Roman Petushkov show once again. The Russian has a lead of over a minute at the 11.1km checkpoint and has since executed another flawless shoot. 20 out of 20 so far at the range today - which considering how far he has skied is truly phenomenal. Murygin and Soule still lie second and third. 10:40 It was the saddest moment in the build-up to these Games when Australian snowboarder Matt Robinson tragically died en route to hospital back in Melbourne following a training crash last month in Spain. But the Australian team here in Sochi: Badenhorst, 14-year-old Ben Tudhope and Trent Milton have vowed to recognise him throughout the Games. They wore black armbands at the Opening Ceremony and coach Peter Higgins has said Australian officials were in discussions with the IPC to get permission for another gesture during the competition today. We will keep you posted on that. - The Australian team provide an update on why Joany Badenhorst was a non-starter in the women's event today. 10:35 Georg Schwab of Austria is last down in run one of the snowboard cross. He is also a Para-cyclist but does not do enough to trouble the top of the standings. So, a US 1-2-3 lead by Michael Shea at this stage. But still two runs to go. 10:32 A potentially huge moment in the biathlon as Murygin misses a target with his second shoot and Petushkov takes the lead. Is he on course for a fifth gold medal? 10:28 Meanwhile, back at the snowboarding, no change at the top of the first run leaderboard. Aitor Puertas-Marin of Spain falls at the beginning an end of his run and sets the slowest time of the day so far. But he gestures to the crowd at the end an they love him. 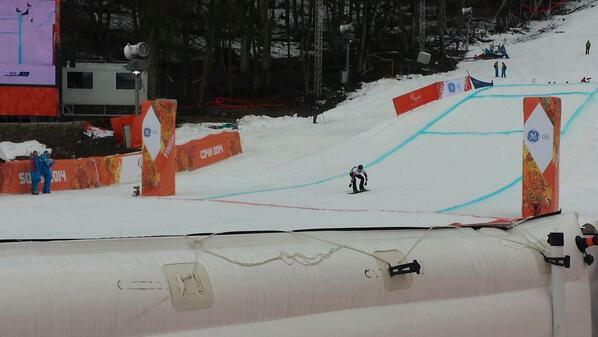 The first ever Winter Paralympian from Brazil, Andre Perreira, goes next. He goes into 30th place. Just a couple of snowboarders left to go now. 10:26 It is the longest biathlon race this one so a real gruelling to affair to balance shooting with such a long ski. After all the biathlete are through the first shoot and the 5.1km check-point it is Grigory Murygin of Russia who is fastest, ahead of compatriot Petushkov. By just 1.6 seconds! Andrew Soule is continuing a good morning so far for the US by lying third - albeit some 40 seconds off the pace of the formidable Russian duo. 10:18 Action has also begun in the biathlon further up in the mountains. First up is the men's 15km sitting event, Each athlete sets off at 30 second intervals and intersperse gruelling cross-country laps with trips to the rifle shooting range. A missed shot means an extra skiing loop. Leading the way should be Russia and their biggest star Roman Petushkov - who is remarkably already chasing his fifth gold of the Games. 10:16 21 skiers have now gone in this much bigger 33 man field. The US are still dominating the top three positions at the moment but remember, this is only the first of three runs and only the combined time of the fastest two count overall. So essentially you are allowed to mess up one of your three runs. But only one. 10:12 In terms of other competitors, New Zealand's Carl Murphy lies fourth while Matti Suur-Hamari of Finland takes a tumble but still lies eighth. He showed good speed so if he can produce some clean runs he could yet mount a challenge. 10:08 We now have a US 1-2-3 on the leaderboard as Keith Gabel takes over third place. 10:03 Forgive the pun, but a strong run from the American who goes into the lead by two seconds, but only for teammate Mike Shea to go quicker next down the course. 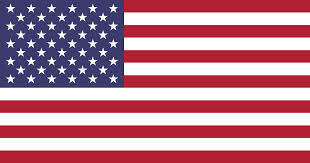 The US are yet to win a gold medal at these Paralympics but you sense today could be their best chance. 10:01 Ben Tudhope of Australia - who is just 14-years-old - goes into third place, but here comes one of the big medal contenders in Evan Strong of the US. .
Tudhope is the youngest athlete at Sochi 2014 in any sport. 09:58 Chris Vos from the Netherlands sets off first for the men before John Leslie of Canada takes the lead and becomes the first athlete to post a sub-one-minute time on the course. 09:55 So we are zipping through the first run action and straight on into the men's event. - The US are still yet to win a gold medal at these Paralympic but the US team are able to report on history in the making this morning. 09:51 The first run comes to an end. Mentel-Spee leads from Cervellon and Purdy. Australia's Joany Badenhorst, incidentally, is a non-starter which means there are just 11 boarders in the women's field. 09:46 Another Dutch snowboarder in Lisa Bunschoten has the honour of being first to fall but she still gets down the course. France's Cecile Hernandex Cervellon, meanwhile, goes into second place three seconds behind the leader. 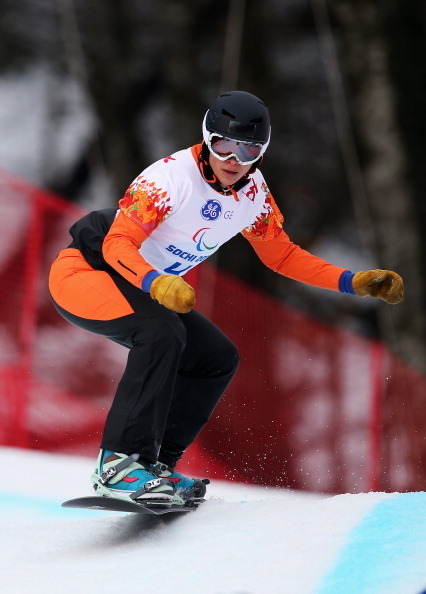 09:40 American Amy Purdy takes the lead but here comes the gold medal favourite - Bibian Mentel-Spee from the Netherlands. And she goes into the lead, stopping the clock at 1min, 00.18sec. A superb time on the first run - which you would expect a lot of the skiers to be using as an opportunity to get to grips with the course. 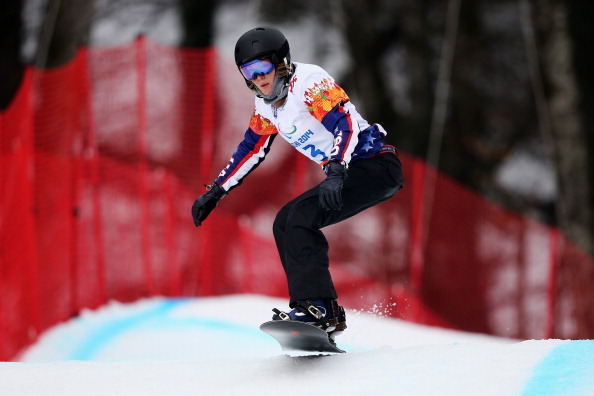 09:38 Getting the honour of first ever Paralympic snowboarder is Cristina Albert of the US. And she goes well, stopping the clock at 1min 10.55sec to lay down the early marker. 09:35 It is the women's event up first for the opening of their three runs. It is a 680m course beginning with four triple rollers at the top of the course followed by a blend of jumps, turns and technical sections before a triple roller and a step-up jump at the end. 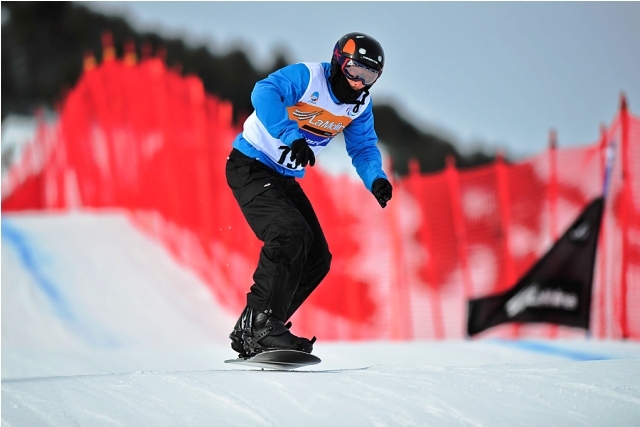 09:32 So, there are two snowboard cross events - one each for men and women and both tor standing competitors. Each athlete will have three runs down the course with the finish time of their best two runs added together determining the winner. There is only one rider on the course at a time and the starting order is determined by each athlete's performance in the previous run. Sound simple? Well in terms of the rules it is, but expect thrills and spills no different from the sport that has electrified the Winter Olympics ever since it was first held at Turin 2006. 09:28 Before all of that though we have a historic moment for the Winter Paralympics as starting well, right now, are the first ever Paralympic snowboarding competitions. 09:24 In less than an hours time the first of six biathlon finals we begin while later on we have the conclusion of six Alpine skiing super-combined events. No wheelchair curling due to the lack of need to have any play off matches but we do have ice sledge hockey - albeit only the classification matches to help decide places five to eight in the standings - they are coming up later on. 09:18 Day seven is going to be a busier day with 14 sets of medals to be won. 09:11 Although day six was albout qualification as much as anything else - with the United States joining Russia in the ice sledge hockey final, and Canada, China and Britain also making it through in wheelchair curling, Russia have duly extended their lead at the top of the medals table. They are now a full 12 gold medals ahead of second placed Germany - with the only other gold won yesterday taken by Takeshi Suzuki of Japan. 09:06 Considering the lack of Nordic skiing action yesterday you might have been forgiven for expecting day six to have been a quieter day in terms of host nation success. How wrong we were. First we had a Russian ice sledge hockey semi-final victory, then wheelchair curling semi-final qualification, and then two of the days three gold medals on offer in men's slalom events. This all means that we had another day with an electrifying atmosphere in Sochi - as fears that the Games would be poorly attended were resolutely put to bed with the announcement of record ticket sales.